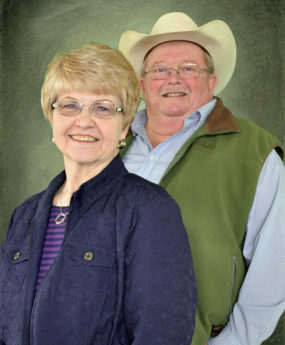 Tedd and Carmen Thompson, married for 47 years, come from a rural ranch background, owning a ranch in Harding County. After attending Black Hills State University, Tedd and Carmen knew that their heart was in the Black Hills and in 1999 they sold their ranch and moved to Spearfish, SD. Tedd, having been licensed in Real Estate since the 1970’s carried his love of ranching into his real estate career and he specializes in marketing and selling farm/ranch operations. His experience and background in the farm/ranch industry is a benefit to those buying or selling this type of property. Carmen became licensed in 2005 and chose to specialize in residential real estate where she enjoys helping families find their forever homes. In May, 2018, Tedd and Carmen joined RE/MAX In The Hills where they hope to continue their successes of matching buyers and sellers. In addition to their real estate business, Tedd and Carmen enjoy family time with their three children and eight grandchildren. They also love camping and spending time in the outdoors at Iron Creek Lake. Whether you are looking for a farm, ranch or your next dream home, or if you are thinking of selling your property, give Tedd and Carmen a call. Their goal is to make your transaction as seamless and smooth as possible.